PRIN. S. B. PANDIT PRESIDENT & CHAIRMAN SHIVSHAKTI, PRIN. T. A. KULKARNI COLONY NASHIK. R. J. GUJRATHI VICE CHAIRMAN C/ 303 SATYAM, OPP. POST OFFICE, M.H.B. COLONY, GORAI ROAD, BORIVALI (WEST ) MUMBAI. SIR DR. M. S. GOSAVI SECRETARY, DIRECTOR, JDC BYTCO IMSR, 7, ANUBANDH, MODEL COLONY, NASHIK. PROF. B. DEVARAJAH ZONAL SECRETARY – NASHIK SHYAM VILLA, OPP. PATIL PRESIDENCY, VISE MALA, HPT COLLEGE ROAD, NASHIK. PRIN. DR. B. V. GIRDHARI ZONAL SECRETARY – MUMBAI ‘PARNASHREE’ HOUSING SOCIETY, BEHIND HPT COLLEGE, NASHIK. PRIN. P. A. RAUT ZONAL SECRETARY – THANE C/O. S.P.H. HIGH SCHOOL, BORDI, DIST. THANE. SHRI VILAS J. SAVE SUPERINTENDENT – THANE ZONE S.P.H. HIGH SCHOOL, BORDI, DIST. THANE. SMT. 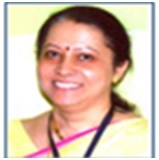 D. P. DESHPANDE PRINCIPAL SMRK-BK-AK MAHILAMAHAVIDYALAYA, NASHIK. 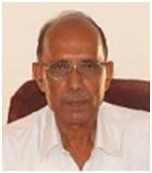 R. M. KULKARNI PRINCIPAL R.N.C. ARTS, J.D.B. COMMERCE & N.S.C. SCIENCE COLLEGE, NASIK ROAD. SMT. A. A. VERULKAR PRINCIPAL JDC BYTCO INSTITUTE OF MANAGEMENT STUDIES & RESEARCH, NASHIK. SHRI V. N. SURYAVANSHI PRINCIPAL HPT ARTS & RYK SCIENCE COLLEGE, NASHIK. D. D. KALAL PRINCIPAL ARTS & COMMERCE COLLEGE, JAWHAR, DIST. THANE. MRS. S. V. SANT PRINCIPAL B.V. ARTS, COMMERCE & SCIENCE COLLEGE, BEHIND MHB COLONY, GORAI ROAD, BORIVALI (W), MUMBAI. SMT. A. S. KULKARNI PRINCIPAL N.B. MEHTA COLLEGE OF SCIENCE, BORDI, DIST. THANE. SHRI Y. R. BHAVSAR ASSISTANT PROFESSOR OF PHYSICS, F.E. CO-ORDINATOR, COLLEGE OF ENGINEERING, NASHIK.